The system, which will be implemented by Fare, and coordinated by the world football governing body includes the deployment of specially trained match observers to monitor and report issues of discrimination at the qualifying matches of the 2018 FIFA World Cup. The new measure follows on the recommendations of the FIFA Anti-Discrimination Task Force, created in March 2013 after a series of racist incidents affecting the sport. It aims to facilitate and complete the work of FIFA referees and disciplinary bodies by providing further evidence and data. The Fare network Executive Director Piara Powar said: “This collaboration between FIFA and the Fare network marks a milestone in the fight against discrimination in football. As part of the new monitoring scheme Fare will establish a series of partnerships across the FIFA confederations, these partners will provide expertise at a national level, help Fare recruit the pool of observers and encourage debates and solution-based activity at a national and international level. The observers will have an in depth understanding of the political and cultural issues of the countries involved in the World Cup qualifiers and will be trained by Fare. Observers will be appointed to encounters identified as high-risk, reporting back to Fare any incidents of discriminatory nature. “If there is enough evidence it will be presented to FIFA and FIFA will use its direct liability and legal processes to sanction National Associations. “The outcome will be that Associations can be banned, their national teams forced to play matches behind closed doors, there will be some pain as a result of this process, but at the same time there is a realisation that without that pain people will not be able to understand how to tackle these issues” explained Powar. 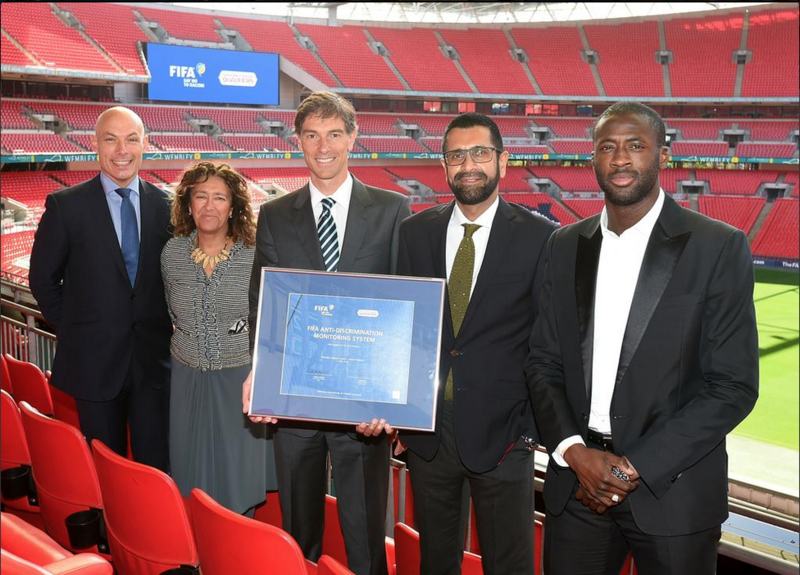 At the event, Manchester City midfielder Yaya Touré welcomed the initiative and said: “When FIFA asked me to be part of the Anti-Discrimination Task Force, I said ‘yes’ straight away because I believe we need to see a change. “I have been involved in many things related to anti-discrimination and tackling racism in football and I think now I am the voice of the people. I want to try to give them a voice and adjust that for them so they can express these things. Heather Rabbatts, Chair of the FA’s Inclusion Advisory Board and a consultant to the FIFA Task Force against Racism and Discrimination, stressed that the process for implementing the system for the World Cup qualifiers, and fighting all forms of discrimination in football, was a team effort including players, match officials, member associations and Fare. “One of the most important elements is how we all learn from each other,” Rabbatts explained. “We try to share best practise and there are a number of elements in the monitoring system that we really welcome seeing there. So I think collaboration is hugely important. “The weight can’t be on the shoulders of a player who was subjected to abuse, it is about our collective responsibility”. The event also counted on the participation of former FIFA referee and member of the Task Force Howard Webb. The Fare and FIFA collaboration comes after the network’s well-establish Observer Scheme at UEFA club competitions and national team matches developed as part of the organisations work to tackle and educate against discrimination and challenge far-right extremism inside football stadiums.